The floor is considered to be the same decoration of the room as the wall, therefore it is very important that the floor covering is not only beautiful and of high quality, but also harmoniously combined with the baseboards. In our recent Soviet past, wooden baseboards were used throughout the construction of houses, which were periodically painted. Today they are replaced by practical plinths made of plastic, which look great, do not require any renewal of surface coloring, and are fairly easy to assemble. In this article we will describe how to install a plastic baseboard with a cable channel on the floor, without the help of experts. First, What you need to remember is to install the baseboard after pasting the walls with wallpaper and laying laminated parquet, linoleum or other floor covering. Before going to the hardware store, you should decide on your preferences in choosing the color of the plinth and make measurements of the room (perimeter). 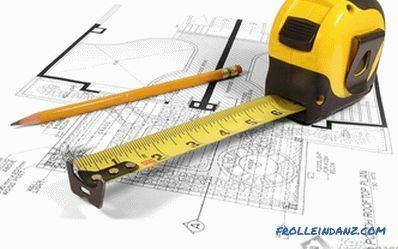 Based on the measurements made, you can easily determine the required amount of purchased material. 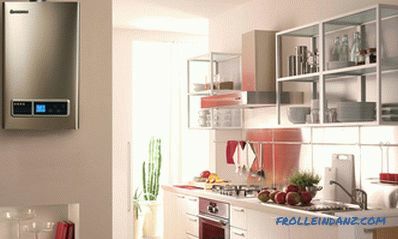 As a rule, the length of the plastic profile is about 2.5 m. To the calculated perimeter of the room you should add a small margin (up to two meters) and then divide this value by the profile length (2.5 m). Be sure to count the inside and outside corners of the room. 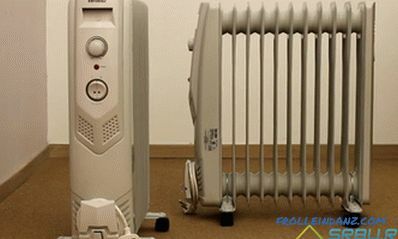 This is necessary in order to purchase the required number of end caps and the necessary connecting elements. When purchasing a plastic plinth, check that it belongs to one manufacturing batch at the factory. Carefully read the batch number listed on the sticker, as there is a chance that you can buy a plinth of various shades of the same color. Before you begin installing the plinth, you must first prepare the bottom of the walls, that is, remove the old nails, as well as any cement flows, even if they are small. 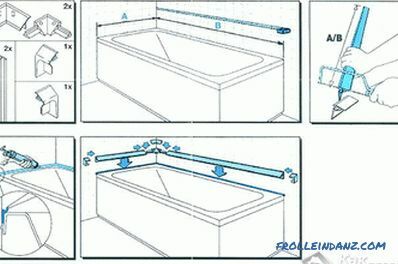 The process of mounting the plastic baseboard is directly divided into the following steps. Carefully inspect the room and determine which wall in the room is the longest - with it, and start performing the markup: put a corner on the end of the baseboard, and put the baseboard in the far corner of the room (to the place of its future attachment). With a distance of about five centimeters from the corner, use a pencil to mark the place where you plan to make the first hole. Masters advise to place the second hole from the first one at a distance of approximately 40 cm. Similarly, determine the places for the remaining future holes and also mark them with a pencil. 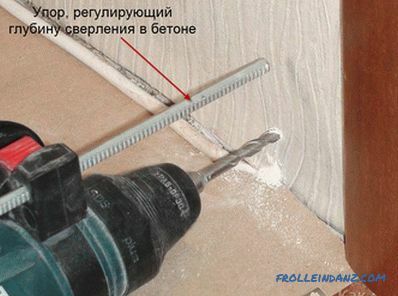 At the end of the marking, put the plastic baseboard aside and start drilling. It is clear that the holes in the wall will help you make a punch. After this rather dusty procedure, use the vacuum cleaner to get rid of the dust. Drive dowels into the drilled holes. Fastening the plinth Begin fastening the plastic plinth from the first hole, that is, from the corner. 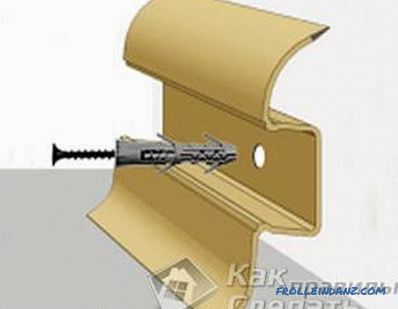 Attach the plinth to the wall and with an awl pierce a hole in it into which you insert the screw and screw it into the dowel using a screwdriver. Before you begin to tighten the last screw, be sure to put the connector on the opposite end of the plinth. Plastic is a fairly soft material that is easily pierced with an awl. 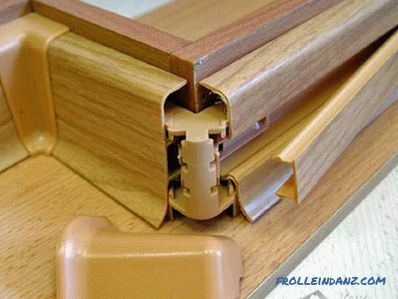 Therefore, be careful when working with a plastic baseboard to prevent scratches and do not make it any extra holes. Then take the next piece of plinth, insert it into the connector, fasten it in the same way. As soon as you see that you are approaching a corner, measure the remaining section of the wall and then cut off the required section of the plinth. When doing so, consider the length of the connector and the distance to the next corner. Calculate everything so that both ends of the plinth fit into the connectors by about 4-5 mm. Using this algorithm, fix the plastic baseboards on the remaining walls of the room. All cables, which you decide to lay in plastic baseboards, lay in the process of its fastening. The cable is laid in the groove of the plinth, as a rule, below the screws. Be extremely careful that during the installation process you do not damage the cable. 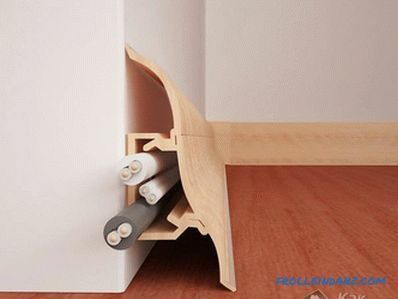 If you did not think in advance about the laying of the cable during installation, then it does not matter, since the cable is laid in the baseboard and after installation. But for this you have to unscrew the screws, lay the cable and then screw the screws into their previous location. In this embodiment, the cable is located on top of the screws. But for you there is absolutely no difference: there will be a cable below the screws or on top of them. Installing the baseboard under the tile is a difficult process. 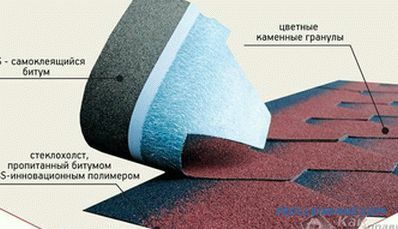 However, installing a curb in this way increases the quality of waterproofing. However, if later it will be necessary to replace it, then, along with the baseboard, you will have to dismantle the row of tiles under which it is laid. As for the installation on the tile, this is the easiest method. You can do this work yourself. 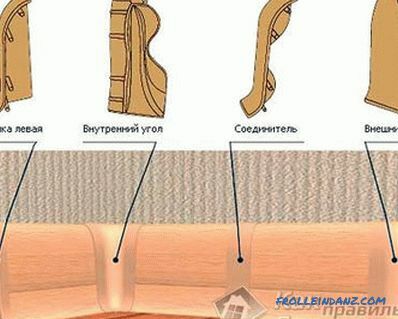 Next, we consider the installation technology using this method. 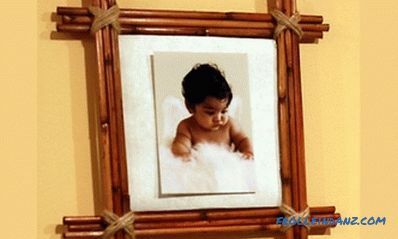 First of all, clean the surface of the wall and bath from any contamination. 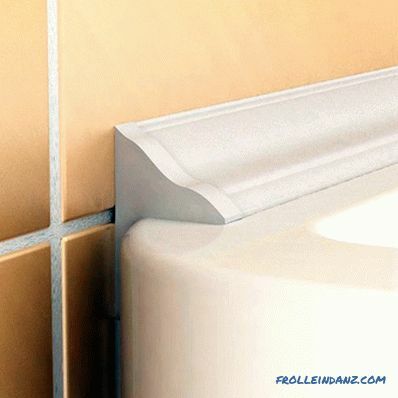 Also clean the gap between the bathroom and tiles. The gap between the bathroom and the tile is filled with silicone with a construction gun. To prevent the enamel of the bath from being damaged during work, seal it with masking tape. This can be done by putting it on a dry plinth in the corner, on which it will later be pasted, glue the adhesive tape near the edge of the plinth. After you take away the plinth, and the tape remains on the surface. After this, apply liquid nails on the substrate. 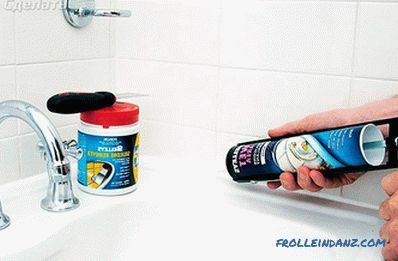 While applying the baseboard to the wall and bath, press it as hard as possible. 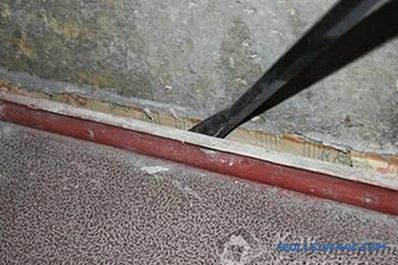 At the same time, glue can crawl out from under the baseboard. It must be carefully removed with a damp cloth. When the liquid nails are dry, the edges of the border are additionally insulated with silicone on the bath and tile. 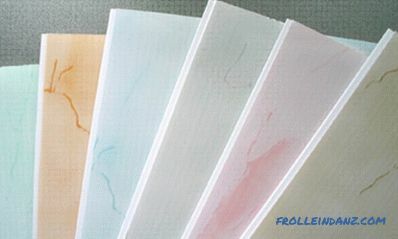 For this purpose you can use white silicone to match the color of the bath. By following these simple steps, you’ll be able to prevent moisture from entering the bath.